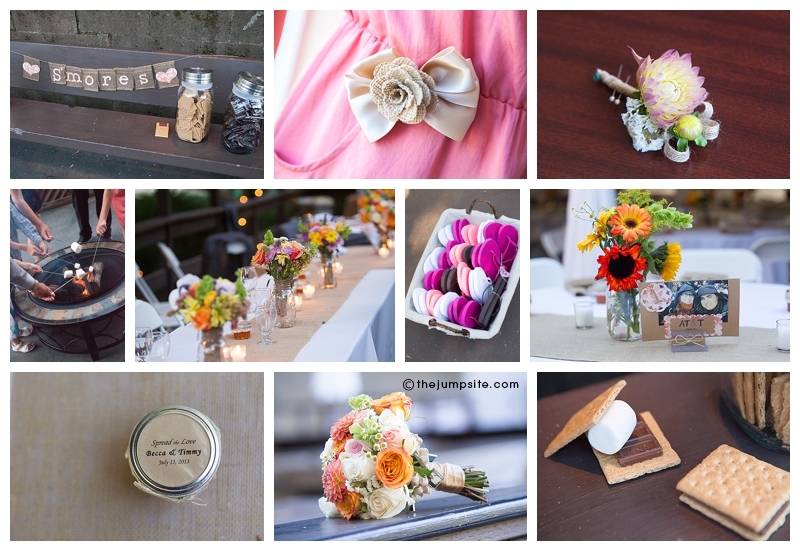 jump photography » celebrating life through lifestyle & wedding photography in the san francisco bay area. 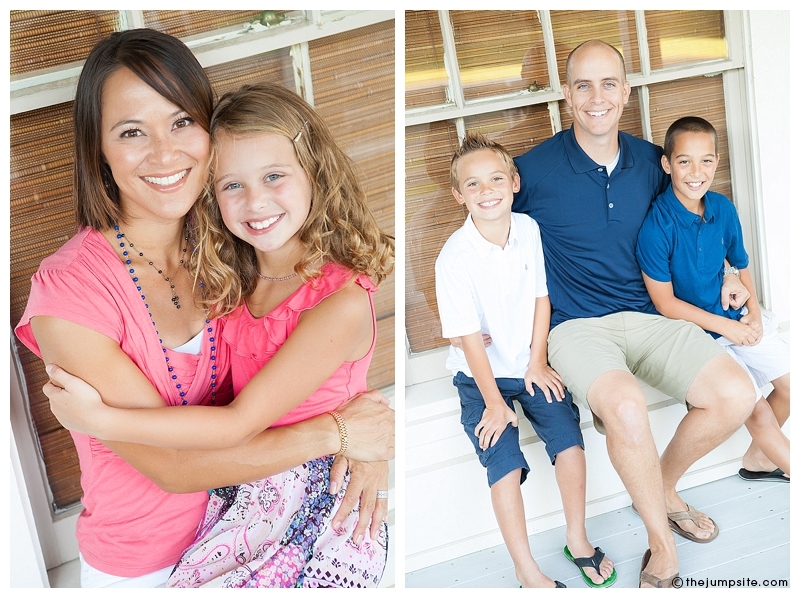 the edgren family. their cuteness kind of kills me. 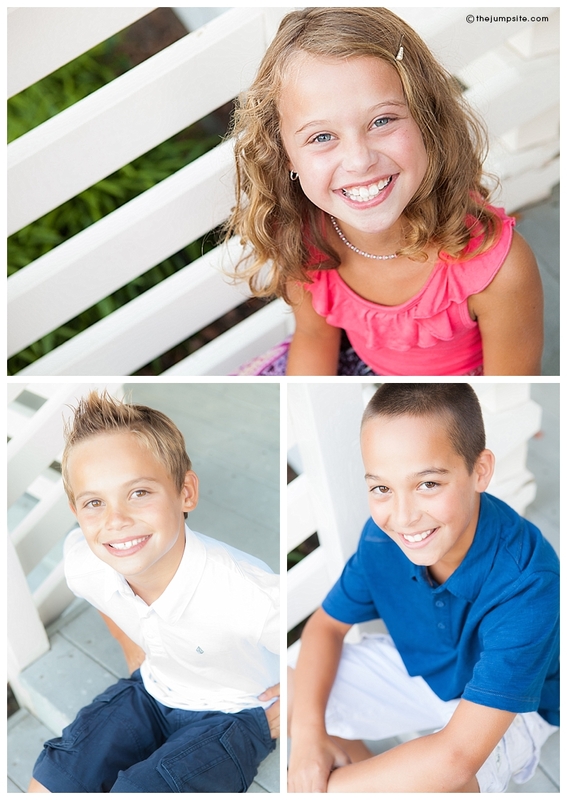 and, to top it off, not only are they super good looking, but they are super fun to be around as well. i think we laughed through the entire session, which is always fun. this was a “super saturday” session, and geez…talk about a great way to spend a few minutes on a saturday afternoon. overpowering cuteness! 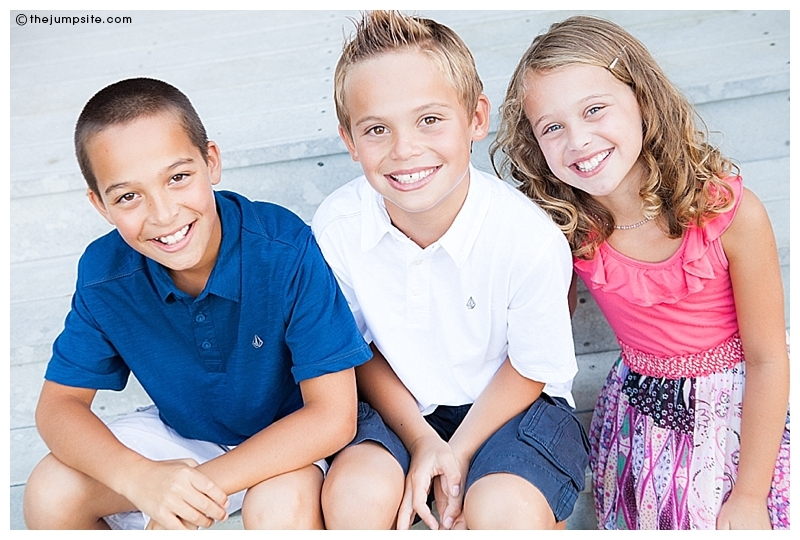 love these kids, and this family. oh, dear amanda & brian….where to even begin? ahhh….the door shots. 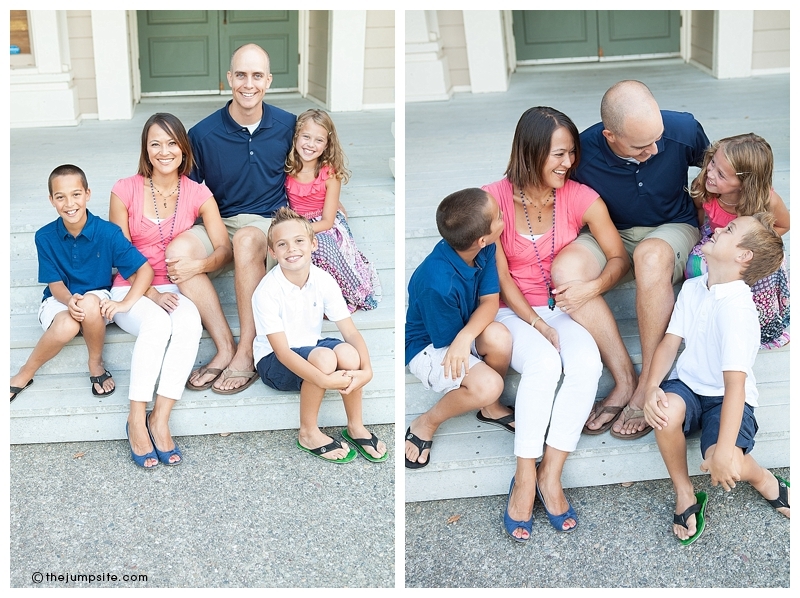 when amanda originally told me about wanting a photo like this, we brainstormed about where to make this happen. and wouldn’t you know it….it seemed that most of the doors were glass around every corner of the hotel and venue, and well, when a bride and groom don’t want to see each other until the ceremony, glass doors just don’t work. so i found this door, that happened to be in the main walkway. 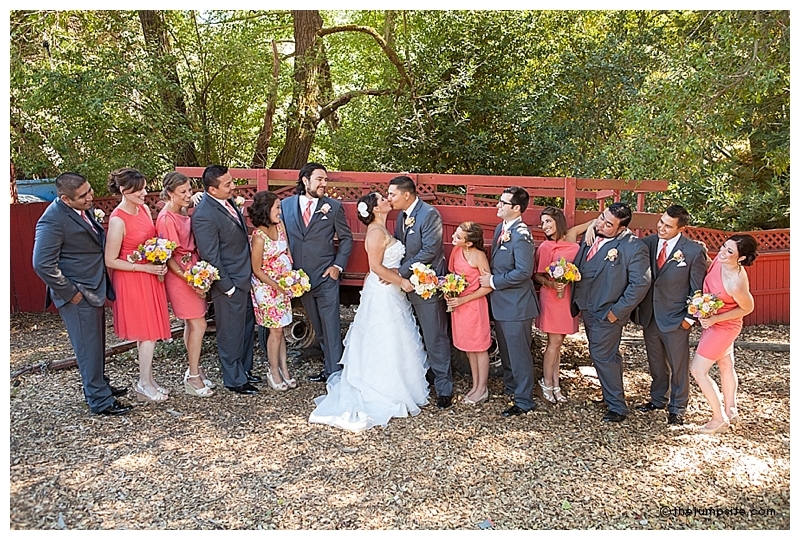 we had the awesome bridal party run interference and guard the exit and entrance, so that we could have a few quick, uninterrupted moments to get the door shots. LOVE, LOVE, LOVE the result. the cutest ring bearer and flower girl that you ever did see. ahhhh….sigh. 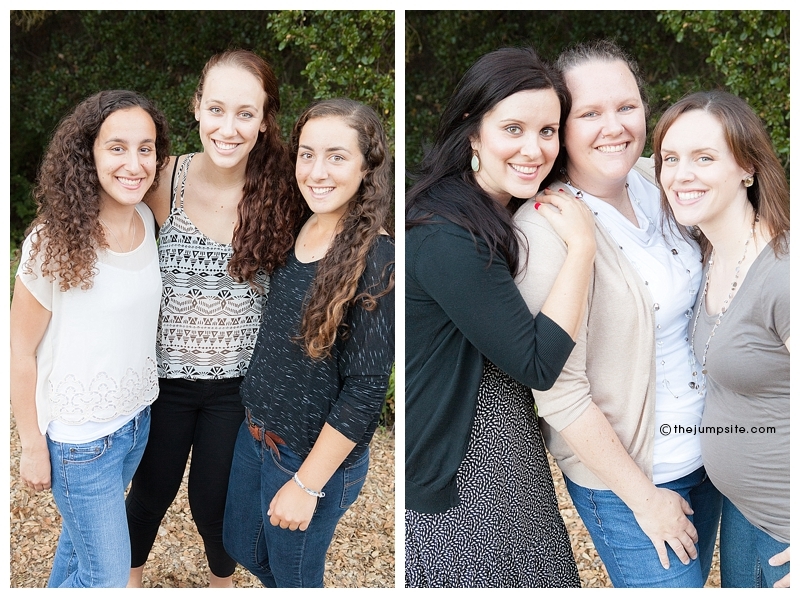 i love these two photos. the bride and groom laying eyes on one another for the first time. 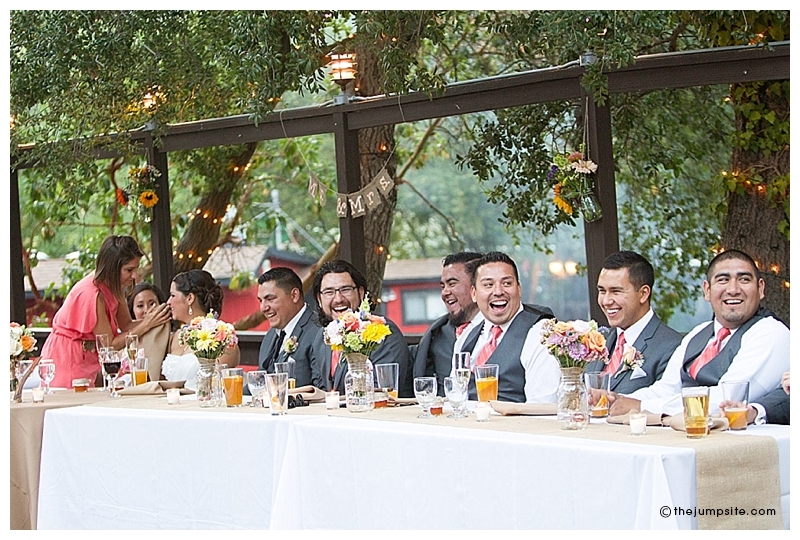 look at those sweet, excited, loving glances!! 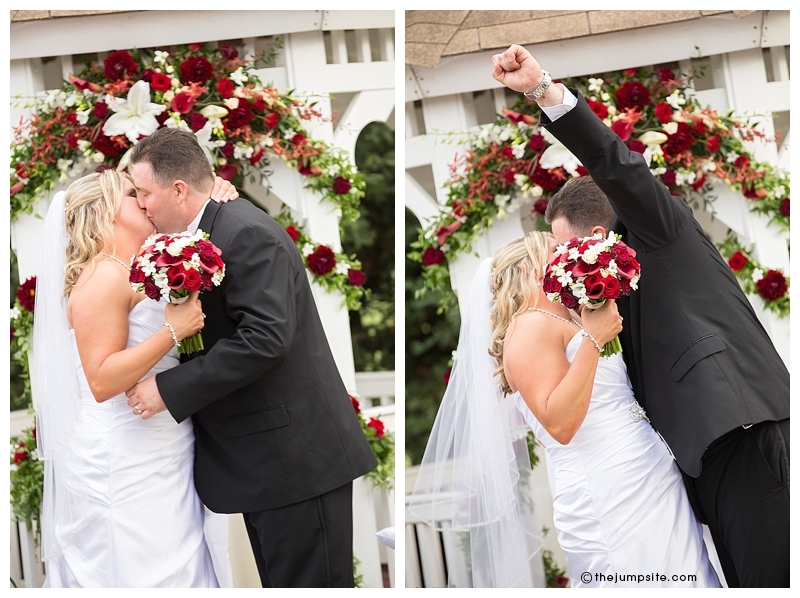 and really…could the first kiss have been any more perfect? and then onto the romantics. because the bride and groom opted NOT to do a first look, we knew we’d be on a tight schedule for their first photos as husband and wife. 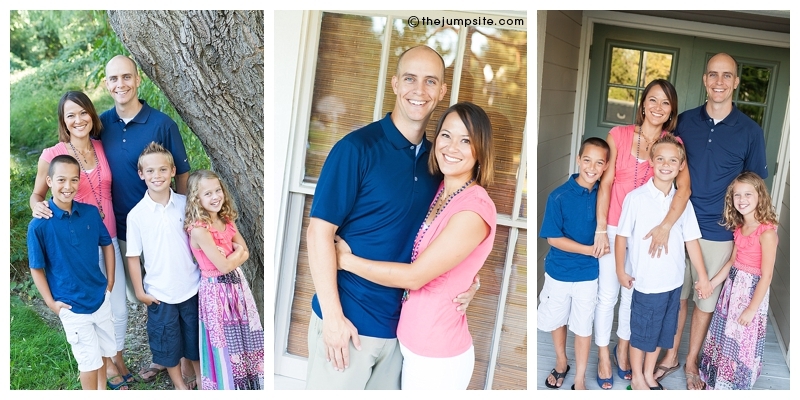 with a little planning and quick moving, we had enough light to get some beautiful portraits. some great detail shots from kevin. the toasts. 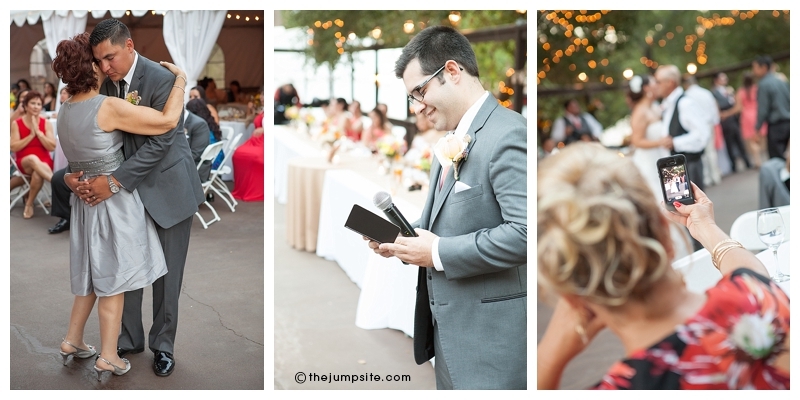 such sweet stories and funny sentiments shared about our bride and groom. also…katy, the maid of honor rewrote some lyrics specifically about our bride and groom, and every time i see these images i start singing along with them in my head. LOVE the last image in this sequence. i’m sorry, but look at those happy, in love, i only have eyes for you, expressions. geez, guys. i couldn’t close this entry without the bouquet toss. check out the expressions of victory and celebration. love, love, love. 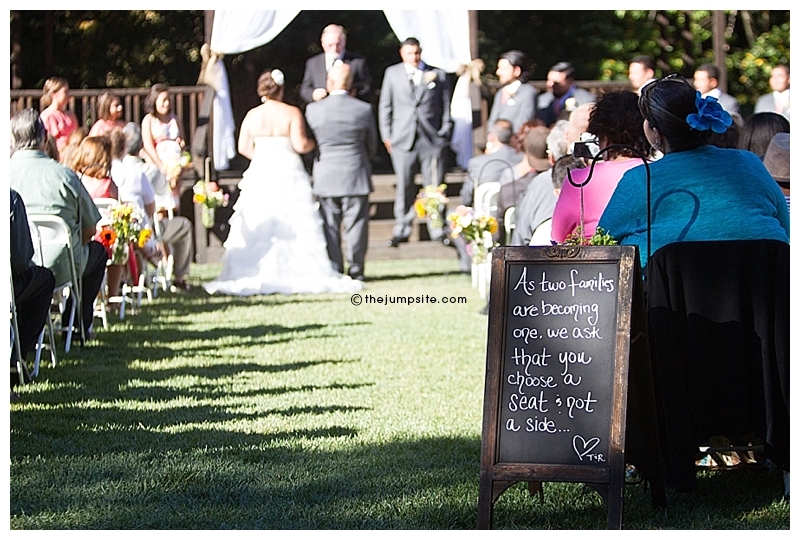 this wedding was an absolute joy to photograph. 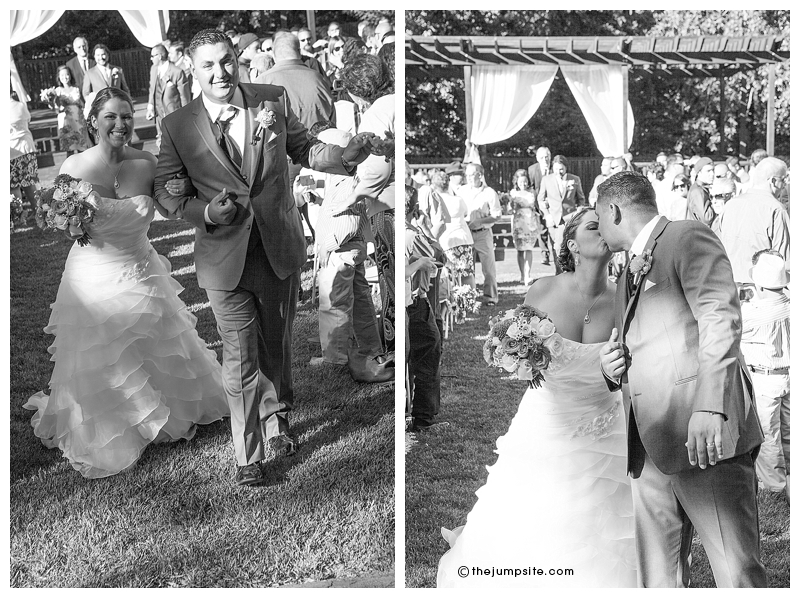 amanda & brian were not only photogenic, but super crazy for each other, the weather was beautiful and everyone was gracious and so happy for their bride and groom. 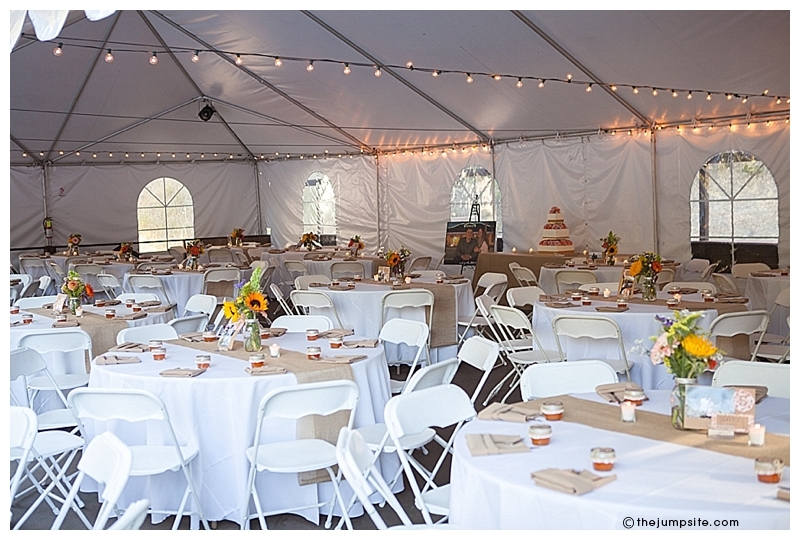 here’s to a life together that is as fun and full of laughter and love as was your big day. thank you for letting me capture these memories for you. amanda & brian opted to keep with tradition and not to see one another before the ceremony…but, at amanda’s request, instead of a first look, we did some “door shots” and these were the glorious result. stay tuned! 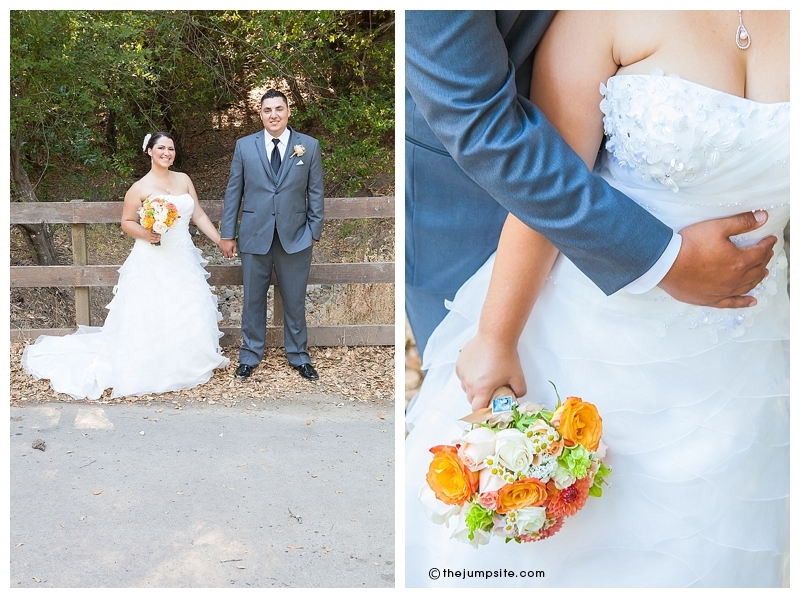 i’m dying to share more from this adorable couple’s wedding! when i first met with becca & timmy, and as i got to know them a little better and listened to their plans for their wedding, i hoped, so much, that they would choose me to document their day. 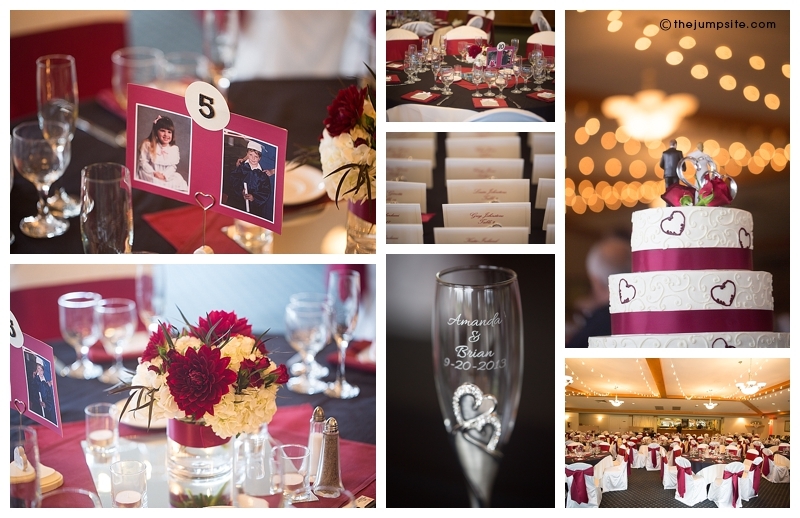 they are such a warm, genuine couple and the plans for their day sounded beautiful, and their handmade, meticulously chosen details were just my style. 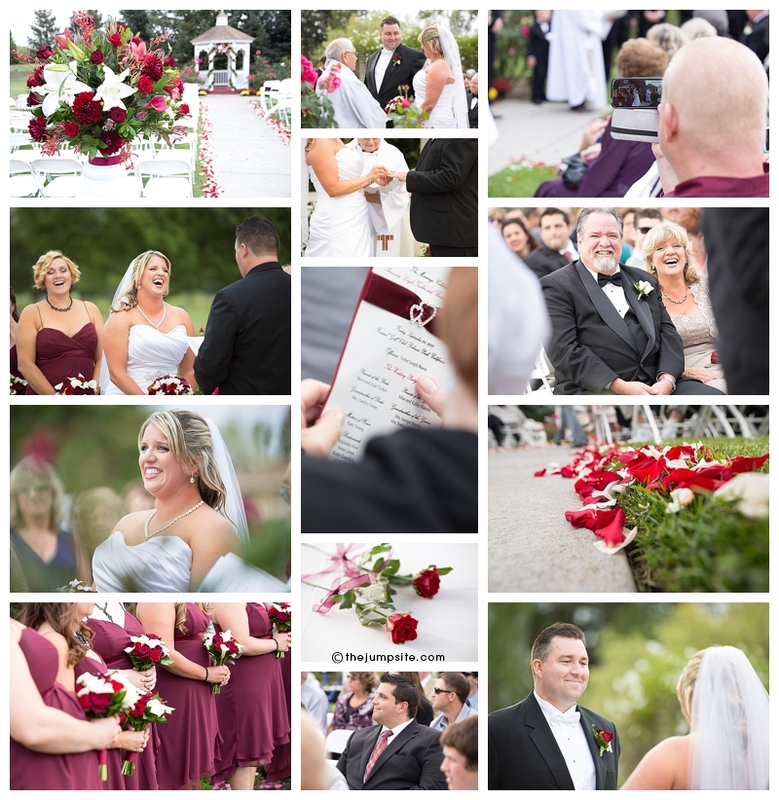 i was thrilled to be present to capture all of the happy, heartfelt moments on their special day. 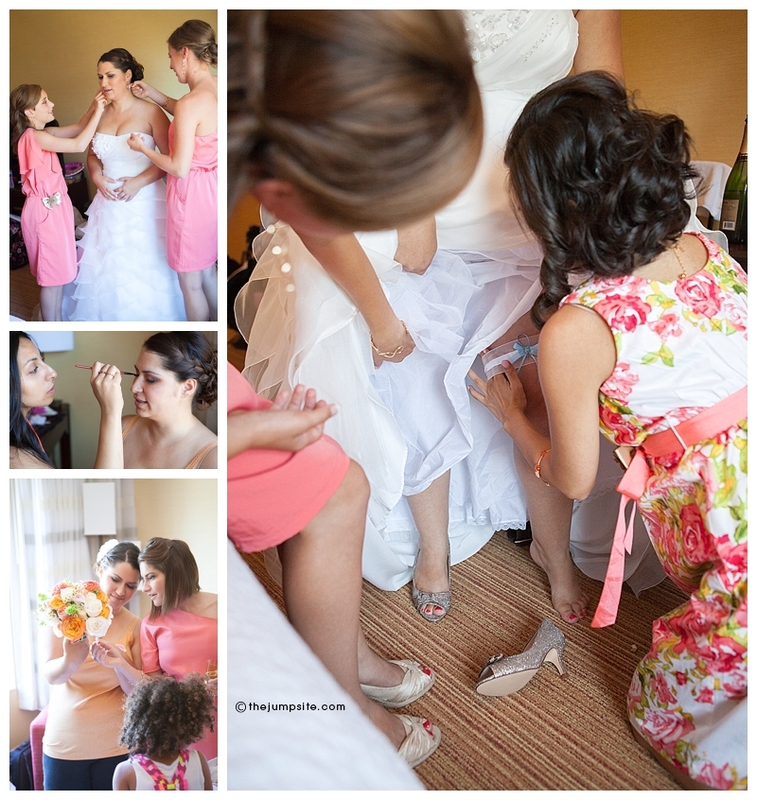 it is such a fun, giddy time when the bride first steps into her dress. can’t you just see the excitement on her face? and then there is tim. equally as excited, and looking as handsome as ever. great capture by my second shooter meghan. 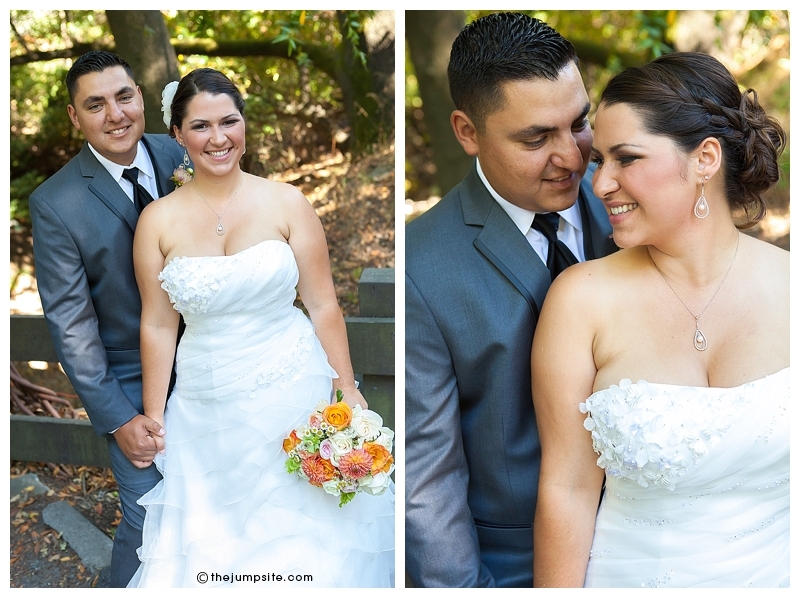 she is amazing, and i was so lucky to have her shoot this wedding with me. opening a wedding gift from her groom. sigh. sometimes as a photographer, i am torn. torn because i feel like i am witnessing something so personal that i almost feel like i should take a step back and just let the moment be, and not disturb it with the clicking of the camera shutter. that is how i felt as i watched becca read her card from tim. and then i remember, that because i photographed it, now timmy will be able to see her sweet expression as she read his words, and they will both be able to look back and remember this moment. becca, you were a striking bride. 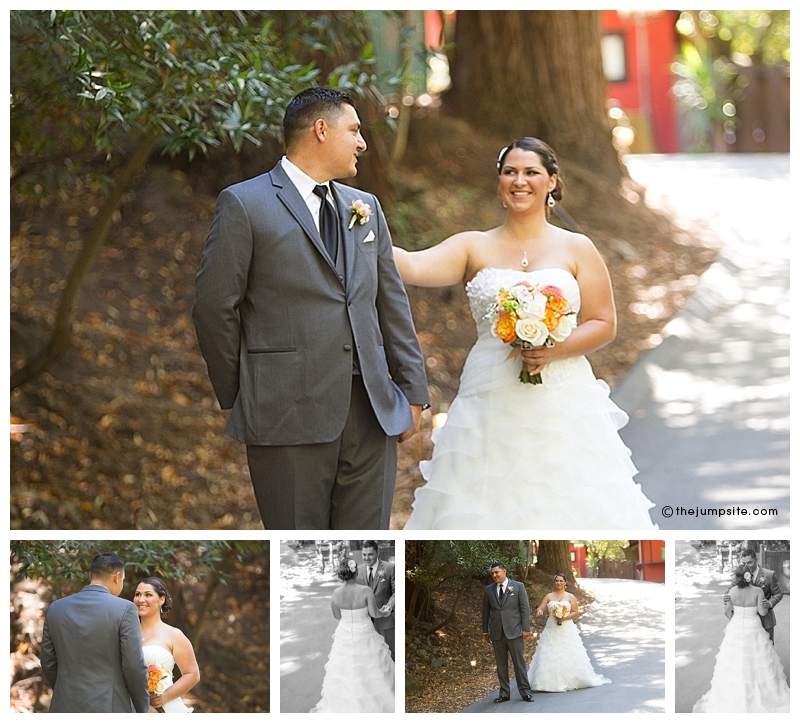 as we planned a timeline for their day, we all agreed upon doing a first look. 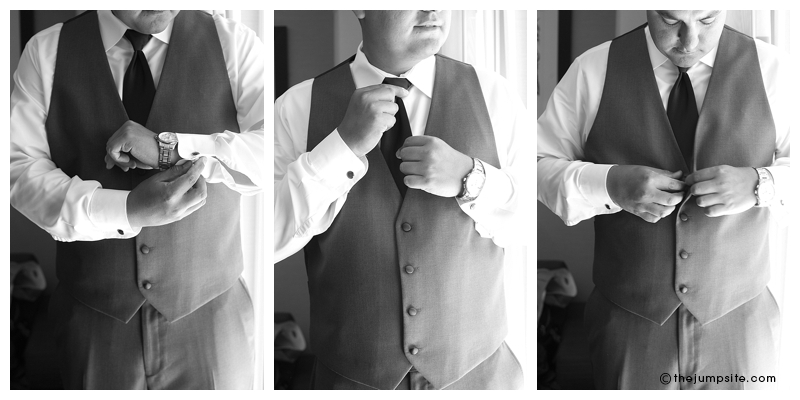 as a photographer I LOVE FIRST LOOKS. AND I’M NOT EVEN SORRY ABOUT BREAKING WITH TRADITION. 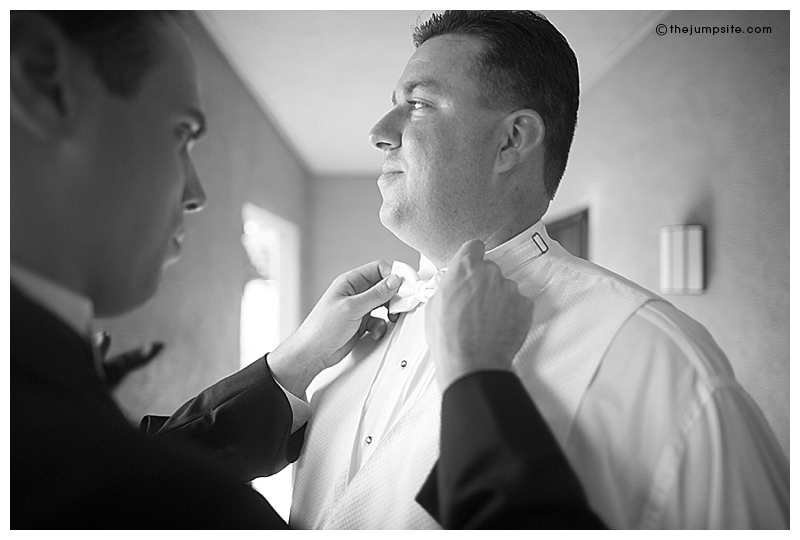 the reason being, i love when a bride and groom see each other for the first time in a quiet and private setting. and giving them a moment to let it sink it. 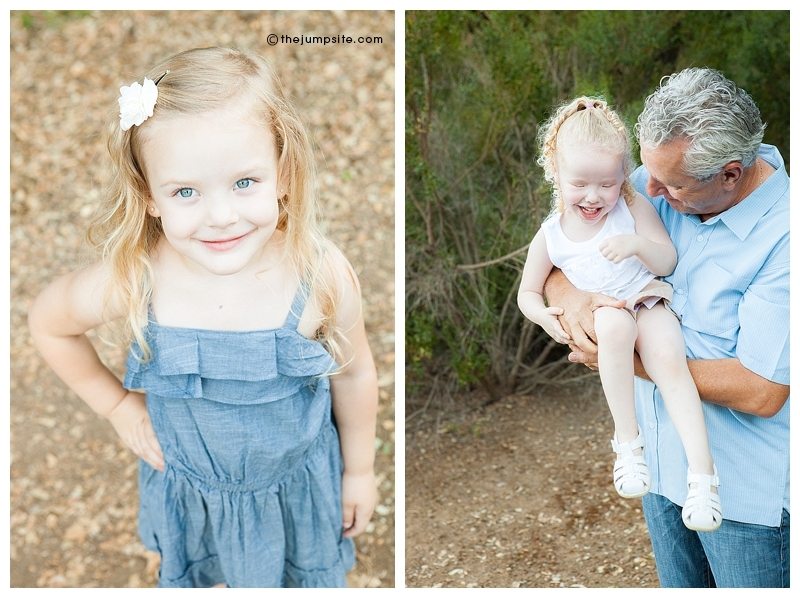 and of course, i love photographing those sweet moments. 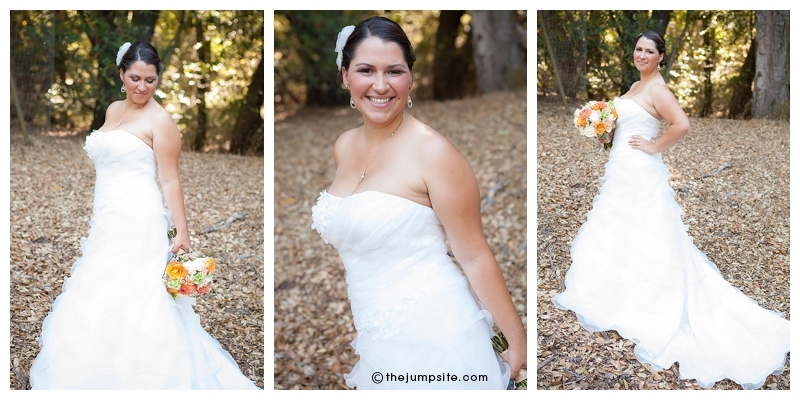 plus, then it allows for a more relaxed time doing bridal portraits. ok, so bonus number two of consulting your photographer while planning your timeline and doing a first look: you have more time to do photos with your bridal party, without the stress of hide from and dodge your groom. 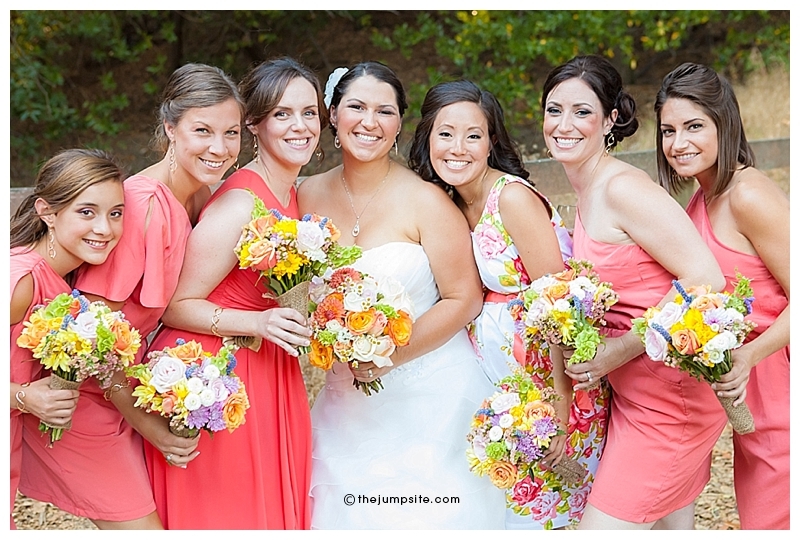 additionally……LOOK AT THESE BRIDESMAIDS!!!!!!! so much cuteness it kind of kills me. and of course the men. 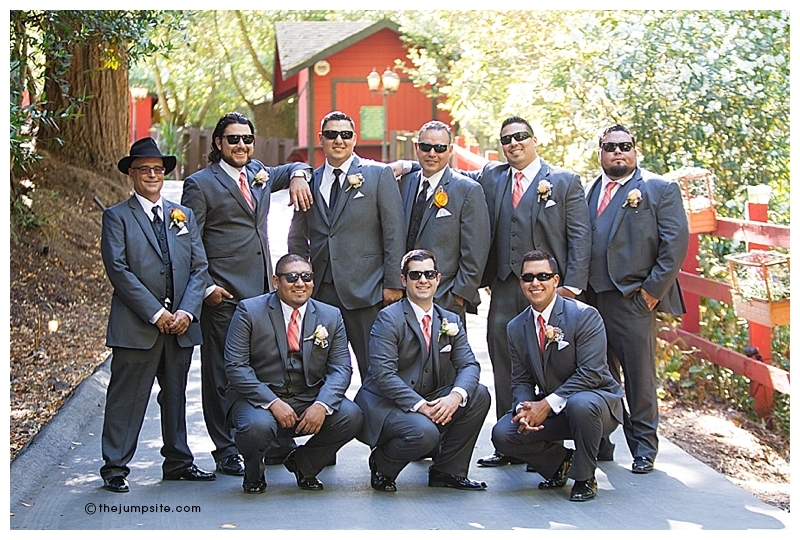 the handsome, full of personality, groomsmen. and then, time for the ceremony. 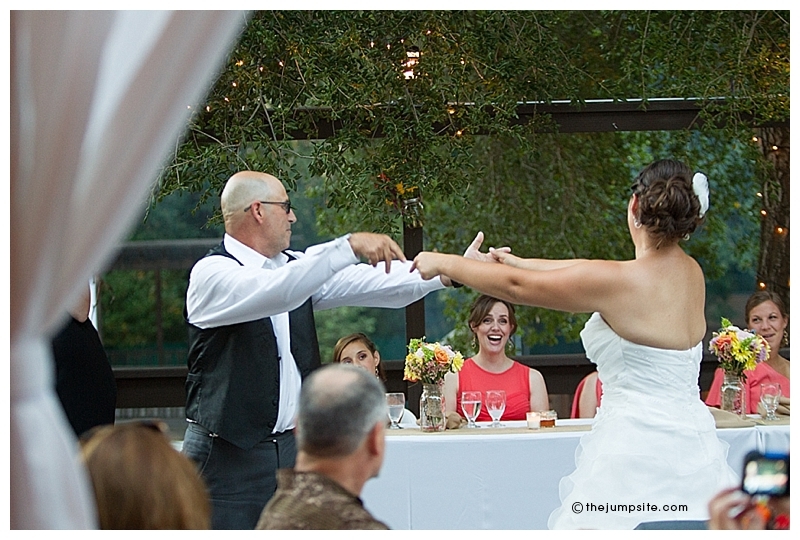 and this photo, right here, demonstrates how excellent it is to have a second shooter at your wedding. hooray for husband and wife! 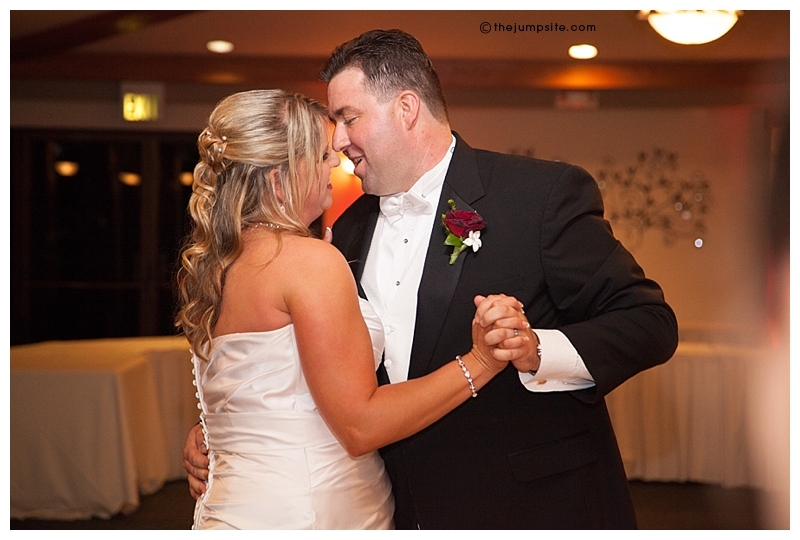 as soon as they were introduced for the first time as husband and wife, becca and tim went right into their first dance. it was perfect. some of the lovely details. and s’mores??? yes, please. love the feeling of this image. great capture from meghan. 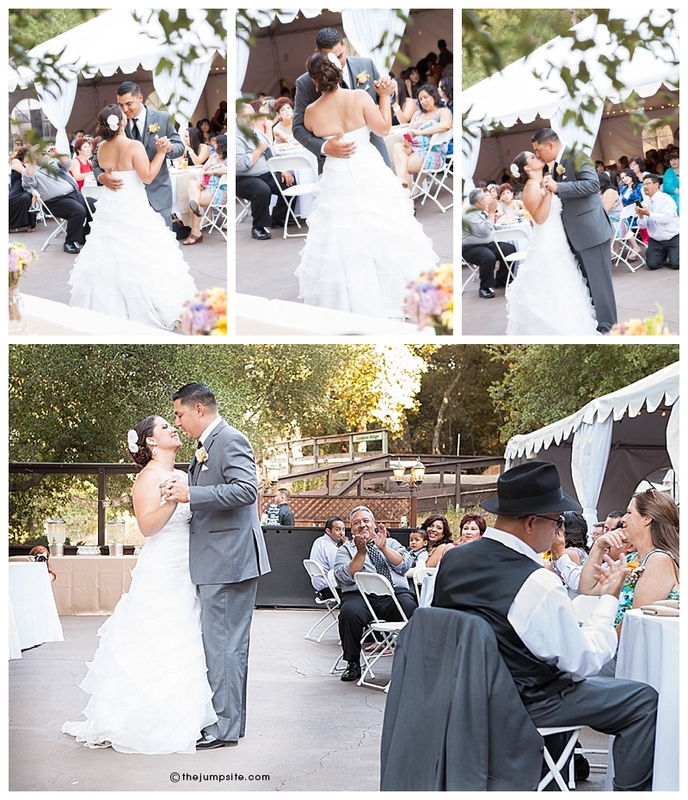 some sweet moments during the dances & toasts. 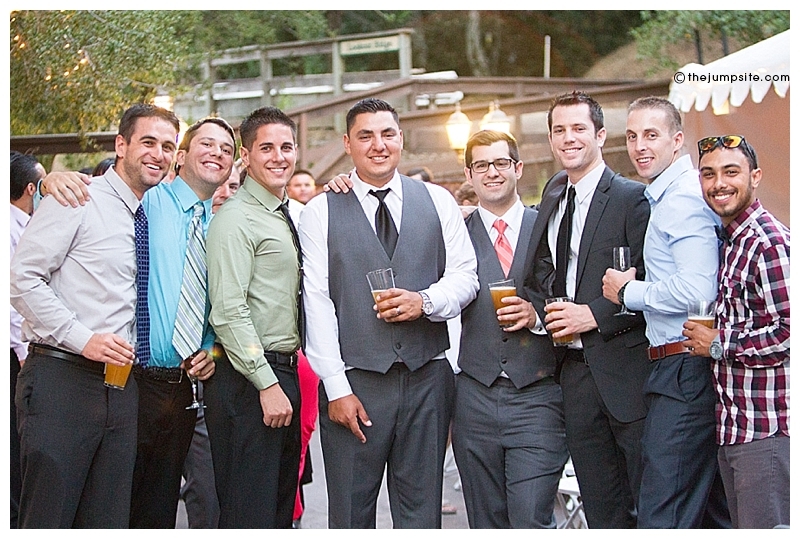 happy, fun, energetic groomsmen. love it. and of course, the cake cutting. 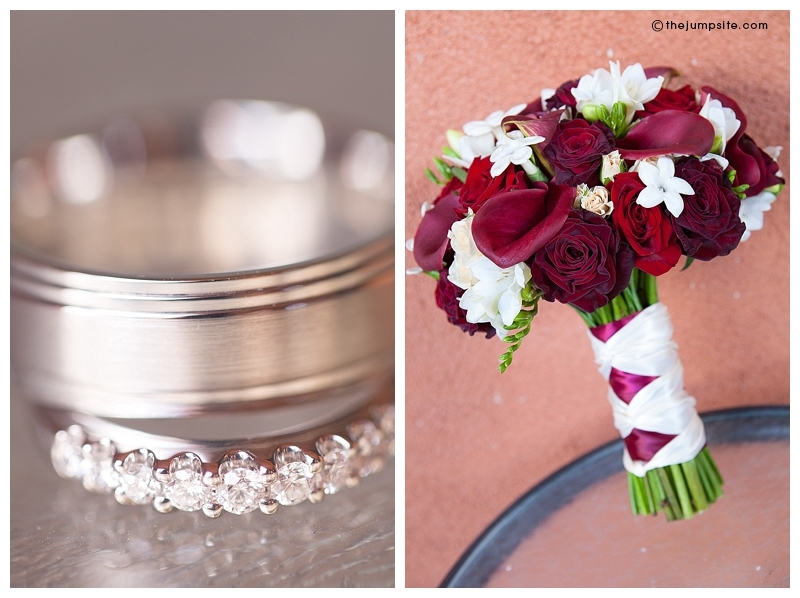 have i mentioned that i loved photographing this wedding? well i did. as you can see, it was absolutely full of happiness and beauty. 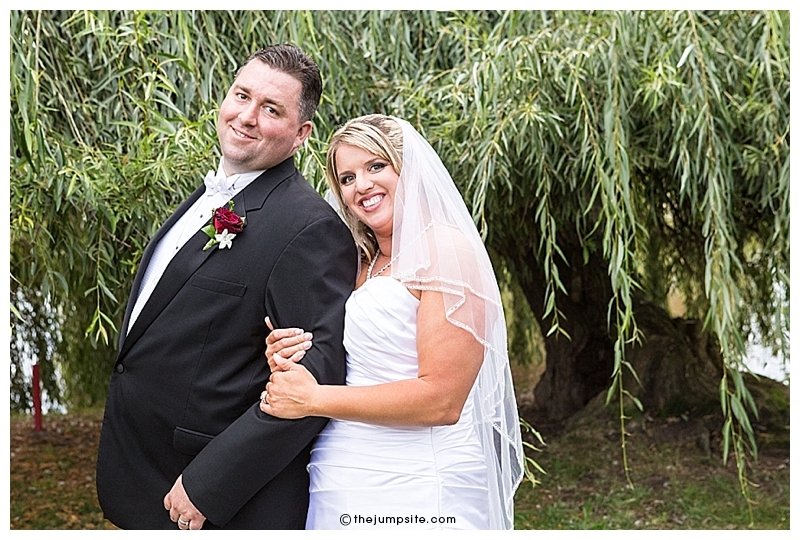 becca & timmy, thank you so much for having me capture your special day! my regulars. not sad about it. 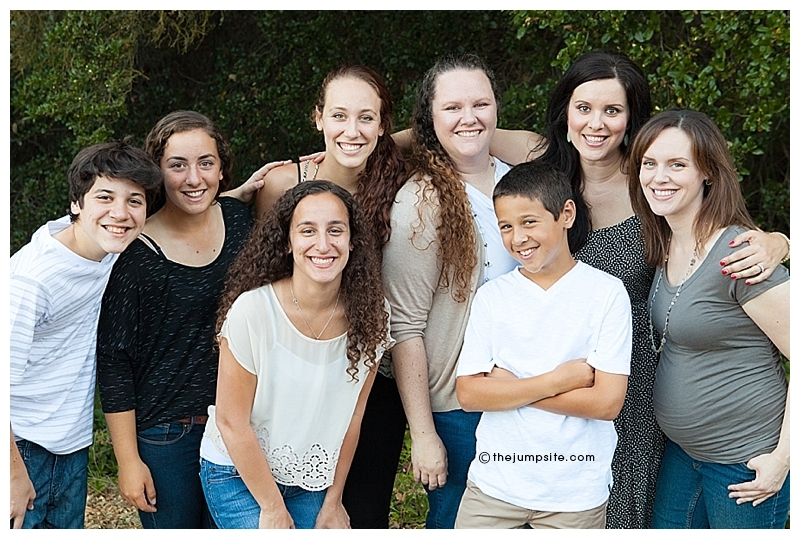 it kind of seems like a crime to have this many good looking people in one family, doesn’t it? 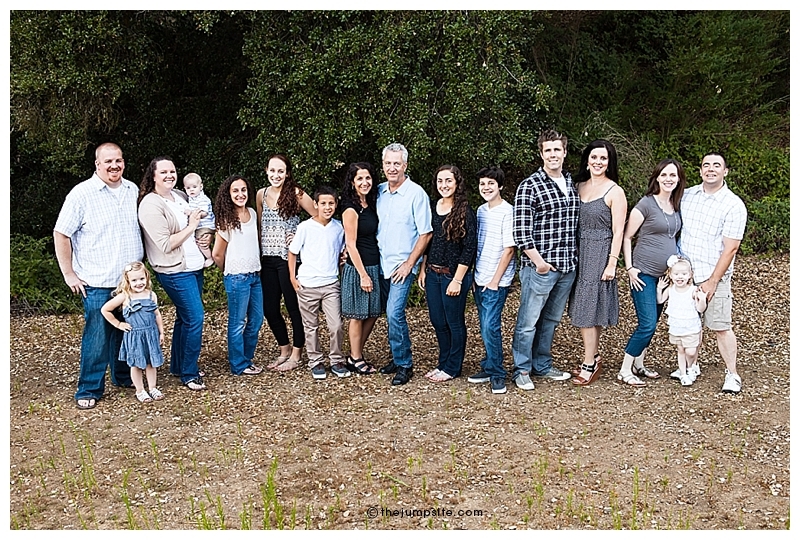 and the family just keeps growing…wahoo! sisters. 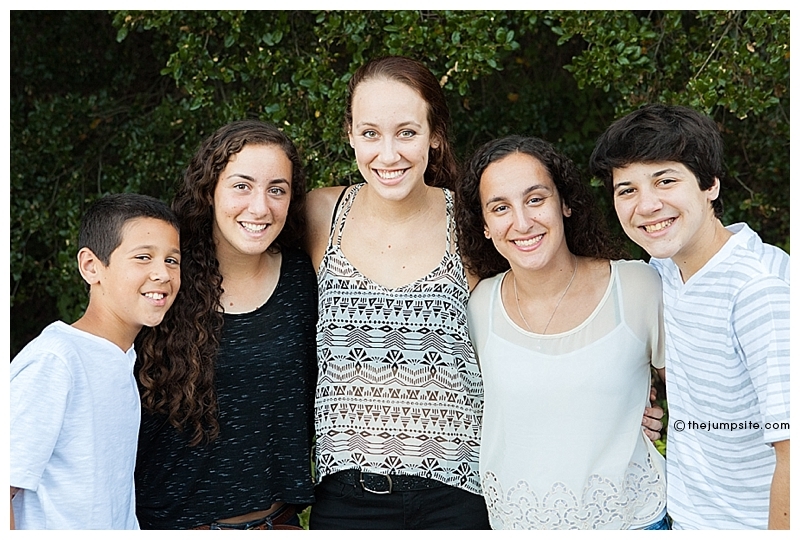 i’m convinced you never have enough photos with your sisters. fair enough?